Fantastic product, service and value. Couldn't do enough to help. I bought the feather edged vertical boarded panels and they are better than quality I expected. Delivered 190 miles within about 1 week and this included making two special-sized panels. Incredible! One small point: I ordered the green preserved and although they have obviously been treated, the colour is more like the natural wood panel in the photos than the green one. This is a normal variation in the process and actually suits me better, but I thought I would just mention it to help others decide which colour is best for them. 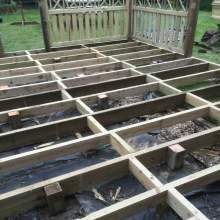 I have used Witham Timber in the past and have always been highly satisfied with their service and prices. Only made a small order this time at 9.30 am and everything arrived that very afternoon. Excellent service once again. Thank you. Put my order in friday, delivered on tuesday by a very helpfull gent, and all correct, it all looks good quality decking , trellis, & sleepers and at sensible price, would definately recommend, thank you Witham. Once again Witham Timber provide excellent products, service and very prompt and helpful delivery. I have never been dissatisfied with any order and will continue to support Witham Timber with my next order. I highly recommend them. Fantastic products and service, couldn't ask for more, will recommend to everyone.Well done!! Cant fault their service or product. I can recommend them with hesitation. They bent over backwards to help me. Amazing company. From placing my order to receiving the heavy duty panels, posts and gravel boards the service from Witham Timber was faultless. They patiently handled several enquiries from me before I placed the order. Clear guidance and sound advice on the correct fixings was invaluable for a novice fence builder. Witham Timber were a one stop shop for absolutely everything I needed. Exceptional quality and very competitively priced with free delivery too. Can't recommend them too highly. This was my first order from Witham Timber and all my future timber supplies will be ordered there. Thank you! Bought 12 heavy duty panels after checking the web and several local suppliers. Delivered on the day promised very early at 5:30 am, I was delighted with the quality and yes they are heavy. Took the old panels out put the new ones in, they fitted well and tight and look great. Will highly recommend Witham Timber - easy to order, v good product, delivered as promised. Many thanks. Hurdles were exactly what I expected and were delivered very promptly. Excellent service. Really sturdy and good quality picket fence. Delivery was as stated and delivered by friendly and helpful driver. Will definitely use Witham Timber again. Brilliant product, brilliant price, brilliant service. I spent a lot of time searching for good quality picket fencing and gates. The advice and service given to my wife and I when visiting the showroom was excellent. Good examples of the products were available to view and to order and to our surprise after ordering, we also received free delivery. Phone call day 2 days later to inform of a very early morning delivery (approx 5.30 am) and they never even disturbed any of our neighbours. Highly recommend Witham Timber for both quality products and first rate service. My sincere thanks to all staff who were involved in our purchase and delivery. After much searching online and locally I decided to buy a five bar field gate for the end of my drive. Witham were very helpful at every stage, recommended the correct fittings plus the quality and price can't be beaten. The gate was delivered on time by a friendly driver. Well done Witham Timber ! Ordered Monday @ 19:00, Witham rang Tuesday am, delivered as stated lunchtime Wednesday. Driver was exceedingly helpful and polite. Panels are the best I've ever seen or used, very well made and look great, even the neighbours have commented. Thanks Witham. order arrived this morning. driver very helpful. all looks very good quality and well made. very pleased. will recommend. many thanks. Shiplap cladding can't fault it. Loglap cladding 9 out of 10 just because a few of the lengths were slightly bowed and the same goes for the framing I also bought. Have already recommended you. The free delivery is a bonus. Shame you don't do sheet timber. Excellent fencing,very good customer service.A BiG thank you Witham timber. We have now used the firm twice and truly cannot find any fault with any part of the excellent service they give from the very easy to use online ordering system to the very cheerful delivery driver. The quality of the products is far greater than those of other companies.The finished appearance of the whole project is enhanced by the quality of the products supplied.Thank you again .We will be using this company again. Excellent service and high quality fencing always delivering the quality products that we require. Very impressed with the company and their timber. Excellent communications and delivery within three days of placing order. 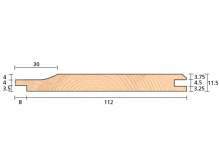 Timber straight and of very good quality. Definitely use again. Recently purchased 15 x 5ft close board fence panels to replace some of my rickety old panels. The panels were delivered promptly following a phone call from the office to confirm delivery date. The panels are of excellent and consistent quality and are far superior to the ones that I am replacing. The price per panel is excellent compared to much lesser quality panels available at the well known DIY stores. One note of caution is that because these panels are so well built they were much heavier than the panels that I was replacing and it took two of us with an small 0.5m access platform each on a completely windless day to slot them into the existing concrete posts. Having said that the job took us less than 2 hours and the panels look fantastic and I'm confident that they will withstand the worst of our British winds. Great service, great product, great price! I would recommend Witham Timber. Very reasonably priced fencing and a courteous installer. Ordered more Closelap fence panels.. Great service as always. Top quality product very sturdy. Great Service. Fence was delivered within 5 working days. Delivery charge much cheaper than other competitors if your order is under Â£100. Fence panels of good quality. I would highly recommend them and would definitely use them again. Recently purchased some T&G cladding and framing from Witham. Arrived on time, and the wood was all in lovely condition. No Timber merchant in London comes close on price, and I would recommend Witham to anyone. Shed now all built! Second time ordering with Witham and again excellent quality, great value for money and free transportation. Will continue to use this company for future garden projects and highly recommend them. Recently bought some intermediate concrete fence posts and feather edge panels, both great quality and price and very easy to arrange delivery when I was able to be home. Highly recommend. Ordered concrete posts, economy fence panels and gravel board. All products excellent quality and delivery driver was extremely helpful. Would definitely recommend. Quick and efficient delivery. Very good quality product. Would recommend. Ordered timber decking on Friday morning. 9am Monday morning it was delivered...exceptional service. Lots more decking to do so will be ordering more in the near future. Purchased 10 heavy duty panels. Fantastic quality and very sturdy. And not a lot dearer than the diy store rubbish! Would highly recommend. These are the best panels available and service is brilliant. Used on 2 occasions for boards and fencing. First class products good communications, prices and delivery. An excellent company to deal with. Really good quality panels. The best I have bought. I wish I had known about this company sooner. Great service too. Just bought 11 fence panels best I have ever bought very well made very good price .The panels delivered 3 days after ordering by a very helpful driver at the stated time. Definitely recommend witham and I will be back for more. Highly recommended,Great delivery service, helpful driver, Excellent panels. Excellent Service, called into shop to ask a few questions and see products, staff very helpful. Delivered next day, driver very friendly and helpful. Many thanks..
Have had several orders from Witham Timber and have never been disappointed with the quality, price or service they supply. 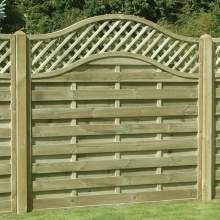 I was a little sceptical about ordering the Waney lap fence panels online, without actually seeing them, especially for the low price. 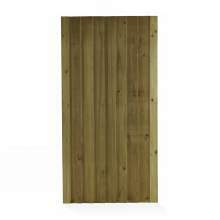 Looked at panels locally (at a saw mills), selling for a similar price, and they were rubbish. Took a chance after reading the reviews, and I'm more than happy with the quality of the panel. I'm not sure why 'Economy' is used in the panel description, as they are far from economy. No complaints whatsoever, delivery was very prompt, driver was very pleasant, arrived when they said, and free delivery, what more could you ask for! I know where my next panels will be coming from! fabulous service, close board a dream to erect, everything so well made and straight. i also will be recommending your company to all. thankyou so much. Don't waste your time looking around DIY places etc as they cant match the price and especially the quality of fence panels from Witham Timber. The ECONOMY ARE NEARLY AS GOOD AS THE CLOSEBOARD PANELS AND YOU NEED TWO PEOPLE TO LIFT THEM ALL.Driver very pleasant and helpful with unloading,credit to the company.Got a call from a Steve to say when the panels were to be delivered, ordered and delivered in only four days. Great service and i am certainly using them again in the future. 5 starsRoy Cain , Hull. I have used the company before, and as the other times the products were "Top class". The decking boards and joists were all "True" and "straight" which is always a great help when trying to create something that looks good, well the finish decking looks "Great". The delivery man was very helpful and unloaded the items with some help from me he was very courteous and nothing was to much for him. I fully recommend this company and will keep using them when I need more gardening products. bought economy panels, posts and gravel boards, a good 10% cheaper than elsewhere delivery was fast and friendly and the quality far superior to more expensive items i had looked at elsewhere. Panels are strong and dont stint on boards, posts were straight and i would recommend to anyone. High quality timber, very well made and price comparison to local and big DIY companys was very good plus free delivery! So pleased i found Witham Timber, thank you. Absolutely impressed with the speed of delivery. Only had 1 damaged piece of timber decking but It will still be used. Quality of wood very good. Just waiting for some good weather to lay it. Really pleased with the lattice trellis l ordered. Couldn't get one with arched top locally. After shopping around locally and seeing the quality of some l was thrilled that the heavy duty item l ordered was far better. Received a call about delivery day so all in all excellent service. Would definitely recommend this company and use again. Just bought approx 28 metres of feather edge boards/posts etc, cannot fault the timber, all posts were straight, rails were straight & feather edge boards were faultless. Looks great now it's all erected, really tidied the garden up. Will definitely be using witham timber again especially with being local too. Ordered Wednesday PM, delivered on Thursday. Delivery is cheaper than local dealers 2nd time I've used your company, excellent service and value, can't knock it! Brilliant I have told all my friends . Quality and value for money and customer service is without doubt the best I have ever experienced . Will use again fantastic . Great communications, great quality fencing, very helpful delivery driver Lee. Highly recommended, Thank you once again. Been in to Witham Timber several times now and always impressed with quality of service I receive. 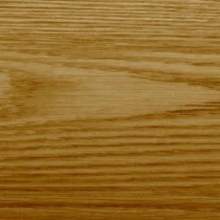 The timber products are always of the highest quality and at a competitive price. Buy with confidence from this company. Fantastic service, very helpful people, good quality products. Ordered a number of fence panels, posts and boards, on a thursday afternoon, delivered the following morning, service was exceptional, office staff and delivery driver could not have been more helpful. Highly recommended quality products and quality customer service. Hi I would like to thank you All . I was looking around for smooth posts and gravel boards for around 3 or 4 weeks with no one willing to help me , every one passing me on to another suppler or sorry we can not deliver to Corby . when I had a chat to one of your lads and he said ... " I know the ones .. We can get them for you... and deliver " I fell of my chair !! I would also take the chance of saying how well the fence panels are made .. well braced and a good price . And a Thank you to your driver ( and sorry for the extra weight of the 9 foot posts ) thanks for placing them nice and neatly on the drive . Graham .. Ordered everything to construct a 12x8 decked pergola, all deck boards and rails and posts were 'straight as a dye'. So much better and better priced than any of the big DIY stores ! Recommend to anyone without hesitation. 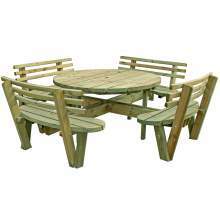 I have been buying timber and garden furniture from Witham Timber for a few years and all of the purchased products have been of excellent quality and their staff are very nice. 1st class service, I ordered on-line on a Tuesday and was delivered on my rear drive 1st thing Friday morning. Top quality products at a fantastic price. Over the moon with the order and will be ordering more soon!! I have had two separate orders now with a total of 25 metres of closeboard fencing. None of boards were split or damaged and all the timber was of a very high standard. Post caps and fence capping were excellent.Delivery was prompt and the delivery team were both helpful and courteous. I will definitely use Witham Timbers again. Recommend to all. We were very pleased with the close board fencing we purchased from you recently. We would be pleased to recommend your product as the quality is very good. Ordered diamond trellis. Speedily delivered and great quality. Would definitely use again. Excellent and fast service. Booked fence panels and posts over the phone. Recommend! Easy to order, quick delivery and the driver was most friendly and willing to move the timber to where I needed it. 4 stars as one of the sleepers has a fairly large split on one side and 2 featherboard had split ends. Apart from that the wood is of good quality and all dry to the same standard. I recommend Witham Timber. I bought several pressure treated waney lap panels. Delivery was prompt and inexpensive. The panels are very sturdy and well constructed. I'm glad I found Witham Timber. Good price and good timber. Thank you. 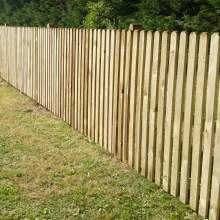 I'm very impressed with the quality and price of the picket fence/posts I have received from you. Much better than anything you buy from the DIY chains and cheaper. 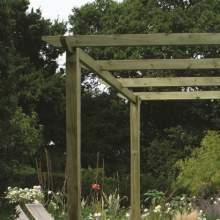 Have now ordered two amounts of Trellis/Fencing, the products are good and the service from sales to delivery excellent. Phoned in an order on the 23rd December and being before xmas was expecting delivery in the new year, was told it would be with me later that day !!! at 3 ish it arrived, first class. Witham Timber only follow one recipe; Great Timber, Great Prices, Great Customer Service. If I haven't exhausted my need for quality timber in DIY, I will definitely be buying again and again and again. I can honestly say the best diamond trellis I could have bought, after searching almost everywhere I came across Witham Timber whilst browsing the internet," I thought why not I'll try it" , great move on my part ......well made sturdy trellis that looks great will last years. Will definitely use Witham Timber again in the near future that's a fact - Thank you Witham Timber. The delivery arrived within 5 minutes of our telephone conversation. Thank you very much for a good, reliable service. Your driver was very helpful and we are really pleased with our purchase and with Witham Timber. Quick delivery. A Nice touch was the phone call the day before and one 30 minutes before delivery. Very helpful driver. It was pouring with rain when he arrived and I did not want to fit sodden panels 6ft 6inches up in the air so I intended to put them straight into the garage after he had left.To my delight, with out me saying a word, he backed his van onto my drive right up to the garage before he rung the bell and then asked where I wanted the panels. We lifted them straight into the garage and they stayed dry until I fitted them. Excellent product, they went straight into my existing concrete post with no fuss or bother, and more importantly they do not rattle in the wind. The friend who help me fit them commented on their quality and said they were better than ones he had just bought locally at a higher price!!! Would recommend them to any of my friends looking for replacement panels. Very good quality timber products. I received my timber in Sheffield before 9 am. An all round good friendly company to deal with. Many thanks. Outstanding, very fast service. Bought a couple of fence panels and gate and were amazed at the quality and the price. Was delivered 2 days after placing order. Would definitely recommend this company and will be using again. Spoke to a member of the team before ordering the panels as our old Concrete Posts were Imperial measurement and not metric. The gentleman I spoke to was very friendly and helpful in sorting out my dilemma. I ordered the panels online along with some security brackets and I received a phone call a couple of days later with a delivery date. They arrived very early that morning and I must say they are very good quality and just what we were looking for also very well priced unlike a branded make we first looked at. I would have no hesitation in dealing with Witham Timber again.